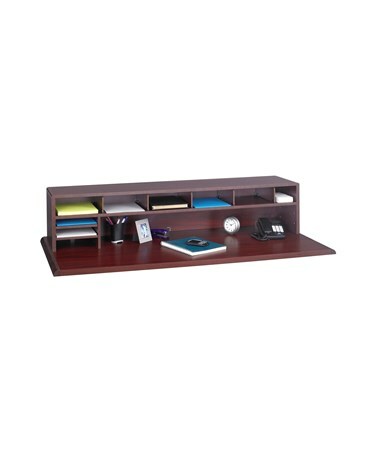 The Safco 8"W Low Profile Desktop Organizer is a discreet but stylish organizer that gives additional storage without obstructing desk view and taking too much desk space. 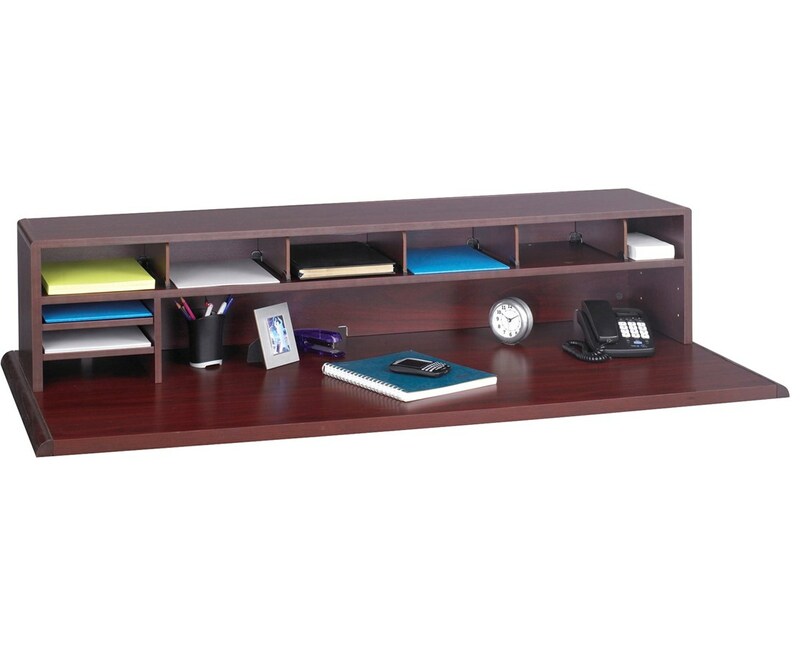 It features a single full-width shelf that provides large bottom space that can be used as a working space. It also has two fully adjustable letter trays and five ¾-inch dividers that adjust in five-inch increments. 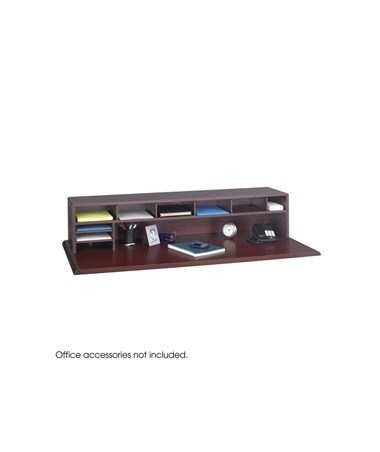 This Safco desktop organizer's finished back provides privacy and has cable cutouts for easy access. It is made of furniture-grade compressed wood with a mahogany melamine finish. In addition, it is easy to assemble with the cam-lock fasteners and can be built with or without the wooden top.